Accidents can affect anyone, no matter their age and health. They occur suddenly and can be quite scary, stressful, and harmful. Knowing what to do following an accident, can help you remain cool and calm when in the actual situation. With dental emergencies, being prepared can also increase your chances of saving your teeth and your oral health. A dental emergency is defined by a sudden accident or trauma to the mouth (including the teeth, mouth, jaws, and surrounding tissue) which causes pain and damage. 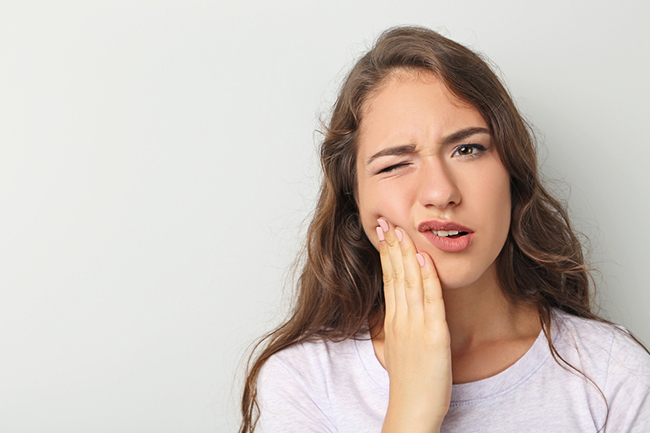 Whilst immense pain is one of the main indicators of a dental emergency, there are instances where dislodged or chipped teeth can cause structural damage with little to no pain. You may be unaware of the damage caused until it is too late! Lack of severe pain in these cases is no reason to put off visiting your dentist since quick treatment could save your tooth. Knocked-out tooth: The ability to restore the tooth depends on how you handle it following the accident. Handling a tooth by its root can cause more damage, so make sure you handle it by the crown instead. Gently rinse to clean it (don’t scrub or use any substances). Keeping the tooth moist is imperative for restoring it so, if possible, place the tooth back in the socket and hold it there to keep it moist. Fractured tooth: Broken, chipped, or cracked teeth may not always constitute an emergency but extensive cracks and fractures which involve the enamel and pulp (inner structure of the tooth) will require immediate attention. If left untreated, these fractures can cause further complications and pain. If you experience this, immediately rinse out your mouth with warm water. If you have any swelling, apply an ice pack or cold compress to the area to help reduce it. Tissue injuries: This refers to damage caused to the softer areas of your mouth such as the cheeks, lips, or tongue. If one of these areas is affected by a cut, tear, or puncture, you should immediately clean it with some warm water and if possible, place gauze over the wound to stem any bleeding. It is important to get these injuries examined and cleaned to avoid infections. Jaw pain: A broken or hurt jaw can be extremely painful. Use an ice pack or cold compress to reduce any swelling and avoid eating any hard foods until you can see your dentist. It is important to see your dentist as soon as possible to help relieve pain and avoid complications. Mouthguards: These are quite useful in protecting your mouth and teeth from injury especially when playing sports or participating in other vigorous activities. They will also help with teeth-grinding at night which can wear down your teeth’s natural enamel making it more susceptible to damage. Avoid hard foods: Hard foods and sweets can cause your teeth to crack, break, or become dislodged. Avoiding biting these types of foods can help prevent a dental emergency. You should also avoid using your teeth to open things such as packages and knots as this could also cause damage; use a pair of scissors instead. Visit your dentist regularly: Plaque, tartar, and food debris can weaken your teeth making them more susceptible to physical damage. At your regular dental visits, your dentist will perform a thorough cleaning which will help keep your teeth clean and strong. Your dentist will also be able to identify and treat any weakened or problematic teeth which could have become vulnerable and caused a dental emergency. Want to know more about dental emergencies and how you can be prepared? Book an appointment with us by calling (07) 5578 2218 or sending us a message via our Contact Us page.